Our product range includes a wide range of shot glass silicone ice mold, blue silicon keychains, debossed ink filled wristband, hand sanitizer cover, face scrubber - silicone and silicon keychains. Being one of the renowned firms in the industry, we are decidedly involved in providing a premium quality array of Shot Glass Silicone Ice Mold. With a firm commitment to quality, our organization is involved in offering a wide ambit of Blue Silicon Keychain. 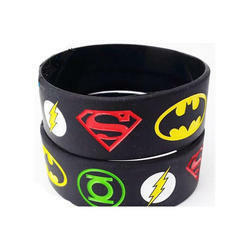 We are among the reputed organizations, deeply engaged in offering an optimum quality range of Debossed Ink Filled Wristband. 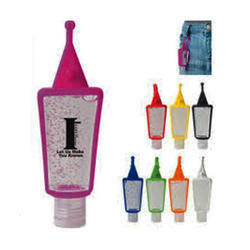 With our in-depth knowledge of this domain, we are actively engaged in offering an excellent quality assortment of Hand Sanitizer Cover. Keeping in mind ever-evolving requirements of our respected clients, we are offering a premium quality array of Face Scrubber-Silicon. With our years of experience & in depth knowledge in this field, we are engaged in offering a quality-assured array of Silicon Keychain. We are successfully meeting the varied needs of our clients by offering a wide gamut of Silicone Deboss Ink Fill Wristband as per their precise needs. Riding on unfathomable volumes of industrial expertise, we are providing a broad array of Silicone Slap Bands. Being a leader in the industry, we are engaged in offering a qualitative range of Silicone Glass Bottle Sleeve to our clients. Looking for Promotional Products ?